Wondering why the Fire TV Stick Jailbreak has become a trend on Quora, Pinterest, and other social pages? Or have you been scouring the net for hours looking for how to jailbreak a Fire Stick with Alexa Voice Remote and where to buy a Fire TV stick Jailbroken/unlocked? Then sit back as we've got you covered! Instead of being limited to certain FireStick channels, you can enjoy even more channels which is only one of the benefits of using a Jailbroken FireStick. This and many more will be covered at a later part. What is the Amazon Fire Stick? What is the Fire Stick JailBreak? Is Fire TV Stick Jailbreak legal? Fire Stick is a digital streaming media player first developed in 2014 by the US-based electronic commerce and cloud computing company, Amazon. This device in resemblance to a flash drive can be connected to an HDMI TV port in a bid to access its content. This is content such as Movies, TV shows, photos, and games that may have been purchased by the user using their Amazon Account or content saved in Amazon's cloud storage. Moreover, users can stream Movies, TV shows, etc via WIFI on sites such as Amazon Prime Video, Netflix, Hulu, Pandora, Lulu, HBO Go, and several others. With this portable device, you can plug into any compatible 4K TV to immediately access your favorite content. 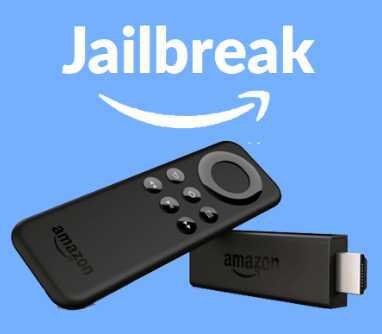 Jailbreaking a Fire TV Stick is the process of manipulating its Digital Rights Management (DRM) software in order to remove the restrictions to the installation of third-party apps that are not on Amazon App Store. In other words, it means working on the security layer on a FireStick with the aim of gaining root-level access that will allow the installation of apps like Kodi, Terrarium TV, and Mobdro. 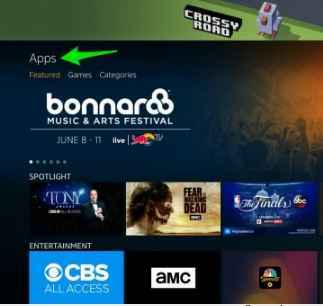 On installation of an app such as Terrarium TV on Firestick, you will be granted access to more content on the net where you are not limited to only a few sites as is usually the case of an out of the box Fire Stick. Many have wondered, what channels are free with the FireStick? On the other hand, you can access free content using a Jailbroken Fire TV stick. You can either use a Fire Stick that has already been jailbroken or go through the simple processes of jailbreaking the Amazon Fire Stick you're currently using. The major difference between a Jailbroken Firestick and one that has not undergone the process is that the later has Kodi installed. Kodi is an open source application that can be used on laptops, phones, and the Amazon Fire TV Stick to stream Movies, TV shows, sports, and other multimedia on the net. While using a jailbroken Fire TV stick fully loaded with Kodi, as long as you don't infringe on any copyright laws such as watching copyrighted movies, channels, and TV shows or content that has been prohibited in your region, then it is legal. But there's still need to exercise caution because even though downloading Kodi on a Fire TV is not illegal, the Kodi app can stream a free online version of a movie from an illegal website. In line with that, you can also download an app to watch Netflix for free. Jailbreaking isn't illegal, but its legality is determined by the user's behavior while using an unbroken Fire TV stick. For the part you've been waiting for, here's how to jailbreak a Fire Stick with Alexa Voice Remote in 2018 instead of spending the extra cash to buy a jailbroken Amazon Fire TV Stick. A completion of these processes will enable you to install other apps that are compatible with the device. 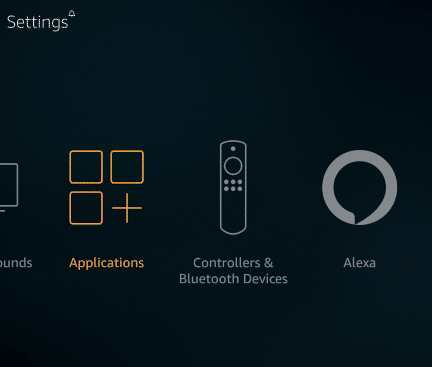 Before beginning the Jailbreaking process, you need to set Amazon Fire Stick TV ready for Jailbreak using its Alexa remote. 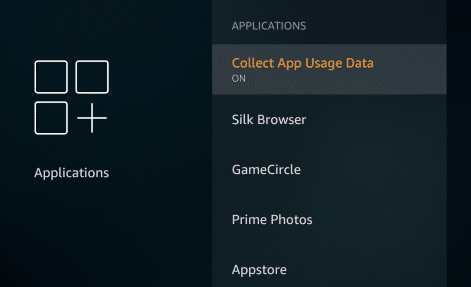 Locate 'Collect App Data Usage Data' and then turn it OFF. Your Fire TV stick is now ready for a jailbreak. Next, you'll need to download ES file explorer for Fire TV Stick Jailbreak. 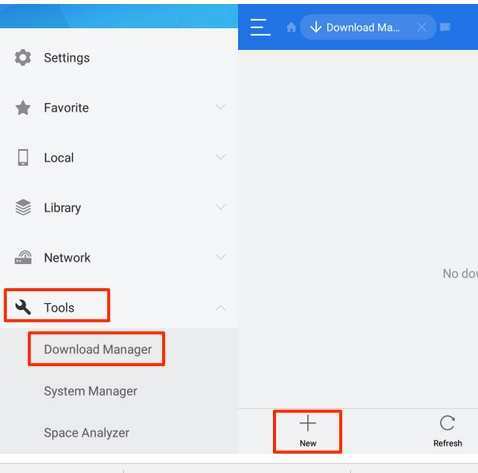 You can skip the second and third step in this guide by using the Downloader app on your FireStick and going directly to the URL https://kodi.tv/download to download the latest Kodi v17. 1 'Krypton'. 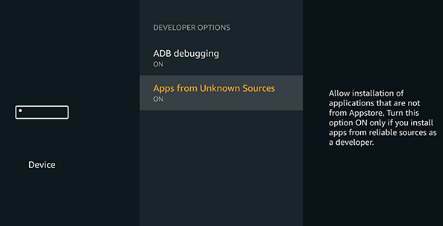 On the download page, choose the format ARMV7A (32BIT) since the Fire TV stick's ARM Processor runs on a 32-bit OS. After download, you'll be prompted to install it by the downloader. In this part, we'll show you how to install Kodi in order to unlock your Amazon FireStick and access more videos and TV shows for free. Since Kodi is not available on the Amazon App store, we'll need to sideload it to the Fire TV stick. You'll have to provide two information which is Path and Name. 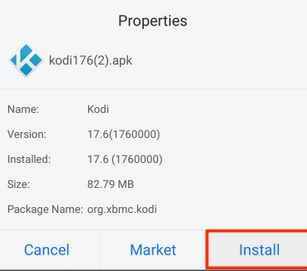 You'll be presented with the Kodi Apk file which you need to download and install to complete the Jailbreak process. 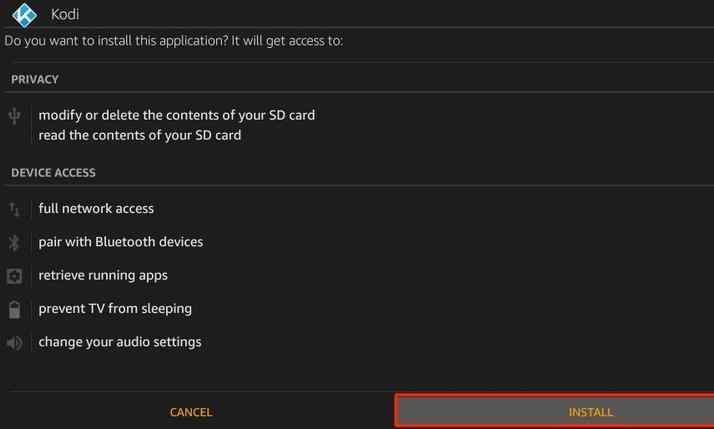 On successful installation of Kodi in your SD card, return to your Fire TV stick home screen and you'll notice that it has been Jailbroken and fully loaded with Kodi. With Kodi, Terrarium TV, or any other app you choose to download you can stream thousands of multimedia content for free. To make the most of your newly unlocked Fire TV Stick, you can download some Kodi Add-ons for FireStick. There are certain Kodi Add-ons such as USTVNow as well as other streaming apps whose use is restricted to people within certain countries such as the US, Australia, Canada, France or the UK. If you are not in these regions, you will be unable to watch live videos and access other multimedia content. A free VPN for Firestick will take off these limitations allowing you to access any channel as if you were in those regions while at the same time keeping your current location private. Take a look at the list of the best FireStick VPNs in 2018 which you can take advantage of and avoid any copyright infringement notices. ExpressVPN hides your IP address and gives you a virtual address which can grant you unrestricted access to thousands of sites on the net. This capability can be attributed to its 94 servers and support for 148 countries which allows you to stream and download with ease. This VPN is available both as an app for download on Android, iOS, Mac, Windows, and Linux operating systems. As an extension, you can use it as an add-on web browsers such as Mozilla Firefox, Google Chrome, and Safari. You can also download ExpressVPN on Apple TV, Fire TV, Smart TV, PlayStation, Android TV box and several other devices. Other than giving you privacy and securing your network while you stream, you can stream live videos on your Jailbreak Fire TV speedily. As its name implies, IPvanish seeks to hide your Internet Protocol address thereby making your connection private while at the same time offering fast streaming and download speeds. Used alongside your unlocked Fire TV Stick, IPvanish can improve your level of movie watching experience by taking the geo-restricted features in certain channels. You can use this user-friendly VPN app on your Fire TV stick to access censored apps and websites. One of the best VPN for Amazon Fire TV stick is BulletVPN. It hides your IP address, grants you access to channels that have been blocked, and also secures your network from any potential attack. Offering premium downloads speed, you can stream from anywhere in the world on your FireStick without any limitation. There is a 30-day money back guarantee attached to this package to even make it more appealing. What you should expect is the best service. To download the app, Click on 'Get' button. Proceed to install the app on your device. Next, sign into your VPN account. Once a connection has been established to your desired location, you can proceed to access your Fire TV streaming apps. A Fire TV Stick Jailbreak is one of the easiest tasks to achieve most especially when you follow the well-detailed steps outlined in this post. You will not have to be limited to the Channels found on the normal Fire Stick, but enhance your level of entertainment with more Channels to choose from as well as those with the latest movies and TV shows. 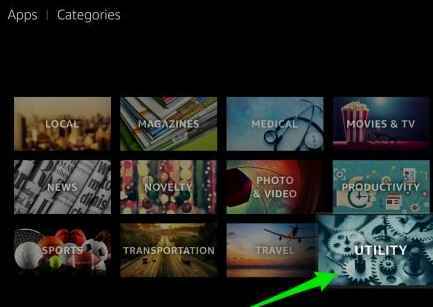 Now that you know how to use the best VPN on your Fire TV Stick, your location will no longer be a limitation to the type of content you can access on Kodi, Terrarium TV, as well as other free movie streaming apps for Fire TV Stick.